1Not available with special financing, lease and some other offers. See dealer for details. 2Not available with special financing, lease and some other offers. See dealer for details. 3EXCLUSIVE DEALER DISCOUNT ON OUR BEST SELLING CARS. Please contact the dealer to fully explain these offers.. 4Monthly payment is $13.89 for every $1,000 you finance. Example down payment: 8.5%. Must finance with GM Financial. Some customers may not qualify. Not available with lease and some other offers. Take new retail delivery by 4/30/2019. See dealer for details. Looking for a small compact car which can fit your large lifestyle? Take a look at the new Chevrolet Spark, available at our Pahrump dealership. This car comes in an array of fun colors to match your personality. At our showroom, we have a wide selection of new Chevrolet Spark in Pahrump. Easy to maneuver and easy to drive, this fuel-efficient car is sure to make an impression on you. The new Chevrolet Spark, featured at our lot in Pahrump, has a stylish exterior and a refined interior with ambient lighting and ample cargo space. It not only delivers powerful performance, but is also fuel efficient. 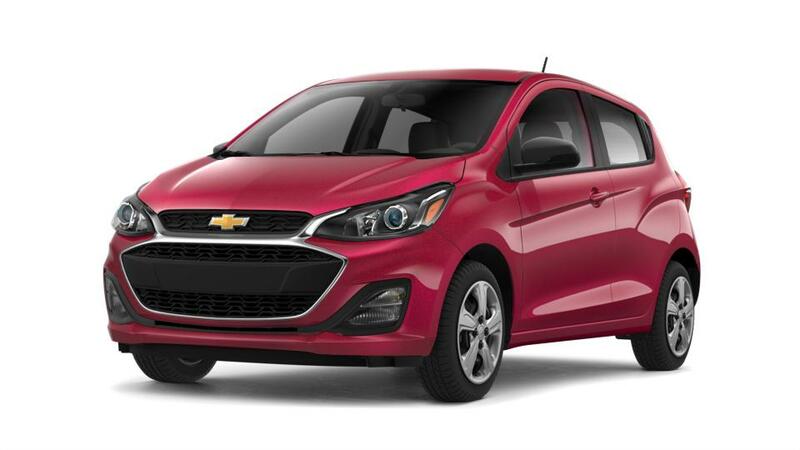 Call us to check out the brand new Chevrolet Spark at our Pahrump dealership today!